A look at the many benefits of Tampa asphalt sealcoating. Asphalt pavement is incredibly durable, yet it will only last so long. Like every other construction material, your asphalt pavement will eventually wear down to the point that it requires repair or replacement. Our parking lot professionals are here to keep your Tampa asphalt in tip-top shape. Above all, consistent maintenance matters the most. Let our Tampa parking lot team maintain and repair your lot as necessary and it will prove serviceable that much longer. 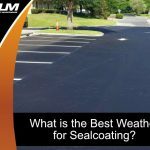 Have your parking lot sealcoated and it will prove more resistant to chemicals, sleet, hail, pounding rain, gas and oil spills, and other threats. In fact, sealcoatings have the potential to pay for themselves and then some as time progresses. 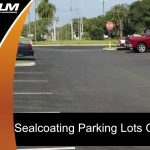 You will find your Tampa parking lot withstands the sun’s powerful rays, Tampa’s violent storms, and other stimuli that much better after it has been sealcoated. Most asphalt pavement lasts around eight years at a bare minimum. 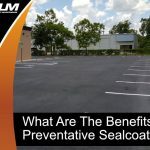 A Tampa parking lot that is sealcoated, well-maintained, and repaired when necessary will likely last a full decade or longer. 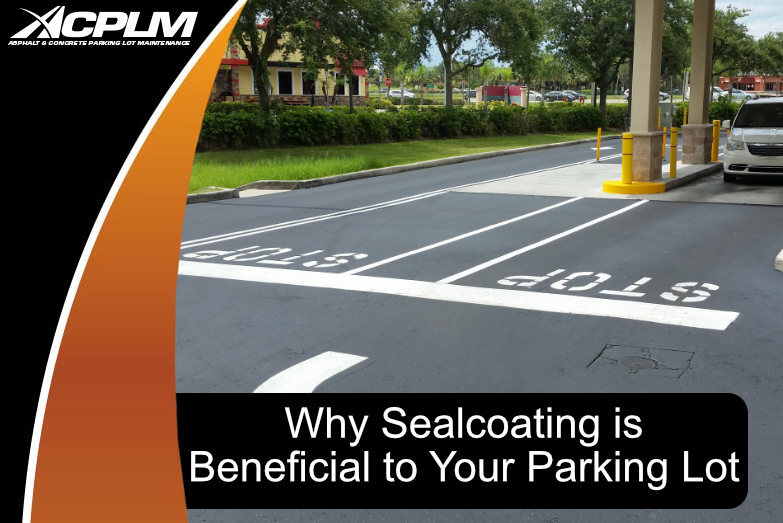 Let ACPLM sealcoat your Tampa parking lot at the appropriate intervals and it just might reach a lifespan of 15 years. The service life of your Tampa asphalt pavement depends on a number of different variables ranging from the level of exposure to stimuli. The pavement’s design also plays an important part in its lifespan. Everything from the asphalt mix to its compaction, depth, draining, sub-base, and base are of concern. Traffic bearing capacity, traffic frequency, and anticipated maintenance also play important roles in determining the asphalt’s useful life. The average Tampa Bay commercial parking lot stretches about 10,000 square yards. A lot of this size should be sealcoated at a frequency of once every three years. In the long run, it is much cheaper to have your Tampa asphalt sealcoating performed every couple of years than to pay for one repair after another. If you have any sort of parking lot installation, maintenance, repair, or replacement project on the horizon, contact us. We will analyze your Tampa property, discuss the available options, and get the job done right. Reach out to us today to learn more about our Tampa asphalt sealcoating services. 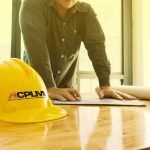 You can contact ACPLM today at 888-959-9637.